(για περισσότερες πληροφορίες βλέπε και στην ιστοσελίδα του συνεδρίου http://www.athens2017.org/). 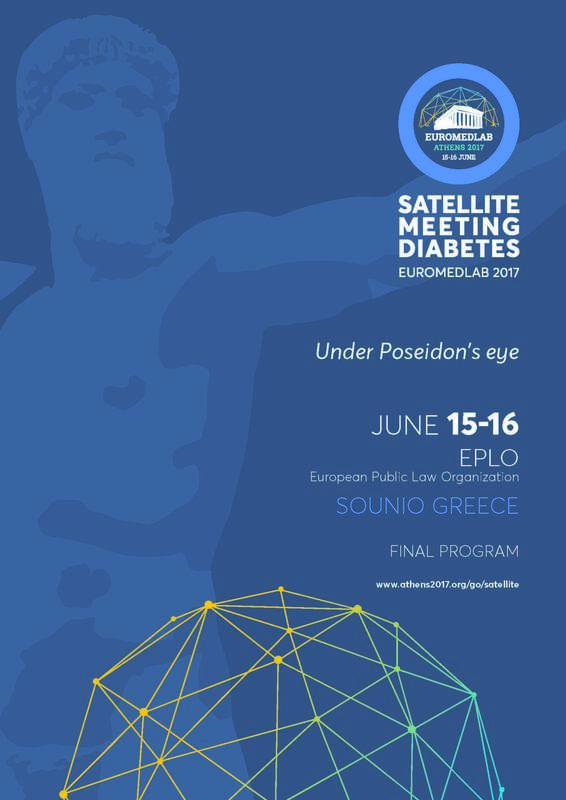 On behalf of the Hellenic Diabetes Association, the Greek Society of Clinical Chemistry – Clinical Biochemistry and the IFCC Committee for Education in the Use of Biomarkers in Diabetes, it gives us great pleasure to invite colleagues to the Satellite Meeting on Diabetes in conjunction with EuroMedLab 2017. The scientific programme addresses innovations in both the laboratory and clinic. There will be four sessions. As reflected by the subtitle “Under Poseidon’s Eye”, the social programme is associated with ancient Greece. The congress centre is close to the famous Poseidon temple and the programme is scheduled such as that participants will experience the sunset from this historical place. The organization committee looks forward to welcoming you in Sounio.